Currently, on National Pet Register there are well over 1 million Australian pets, who in the event of getting lost, have a better chance of being reunited with their owners. Identifying your pet with a microchip, collar tag and keeping your contact details up-to-date, is quite simply the best thing you can do to give your pet a return ticket home. Now, following three jam-packed weekends in Queensland, another 450 companion animals have been permanently identified with a microchip and added to the National Pet Register database. After an extensive tour of Queensland last year, which saw National Pet Register visit some of the state’s more remote and regional areas, mobile microchipping van ‘Reggie’ hit the road again. This time ‘Reggie’ focused on an area north of Brisbane and microchipped an impressive 391 dogs and 72 cats. Offering discounted microchipping and identification advice in conjunction with local councils, the community events took place across three weekends in towns spanning from Bundaberg, Maryborough and Hervey Bay right through to Gladstone and more regionally at Agnes Waters. Microchipping an average of 85 well-behaved pets per event, Brisbane Veterinarian and long-time chipper for the National Pet Register, Dr Claire Taylor said the events were a great way to engage directly with communities. “It was fantastic to see so many pet owners take advantage of the events, to not only to have their dogs and cats microchipped, but to also clarify any concerns or questions they had around identification. On the road since May this year with his cherished 10-year-old Jack Russell mix, ‘Russell’, pensioner Keith said he was visiting his sister when he saw one of the microchipping events advertised in the local Maryborough paper. National Pet Register Operations Manager Melaine Robinson said five of the six events were sold out with a steady increase in the number of pet owners taking up the offer, compared to recent years. “Some events attracted the same number of people, while with others we saw a considerable increase compared to last year. “It is part of National Pet Register’s mission to offer discounted microchipping, giving as many pets as possible the opportunity to be identified, and for pet owners to prevent the heartache of a lost pet. The National Pet Register would like to thank the Bundaberg, Gladstone and Fraser Coast Councils for their support promoting and organising six successful microchipping events. 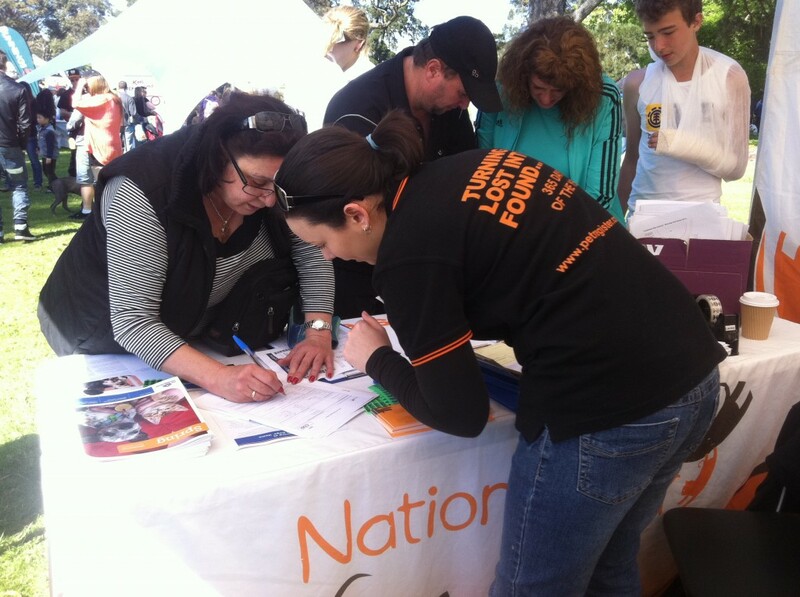 The National Pet Register provides 24 hours a day, 7 days a week, 365 days a year recovery hotline (1300 734 738). Should your pet ever go missing, the finder or Council can call National Pet Register anytime of the day or night to obtain your contact information to reunite you with your lost pet.